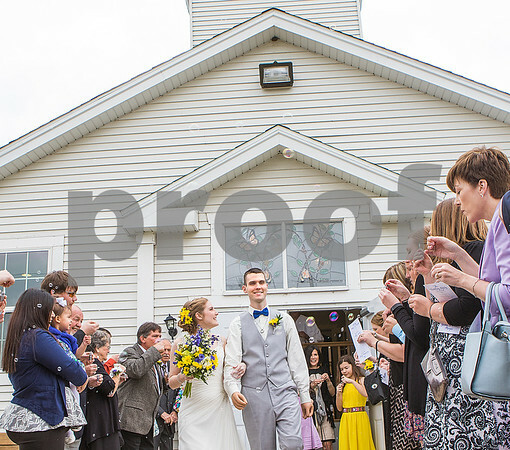 Wedding guests blow bubbles for Ethan Menges and Jordan Mathieu as they walk out of the First Congregational Community Church in Roscoe, Illinois after they were married on Saturday, May 14, 2016. Sixteen months ago, Menges was in a coma and through his recovery had his limbs amputated. Menges asked Mathieu to marry him while in the last portion of his hospital stay five months ago.